What better way to fast track your improvement than with a one-on-one coaching session – an hour just for you to develop those areas of your game most important to you! Individual or small group coaching are a great way of accelerating your learning. 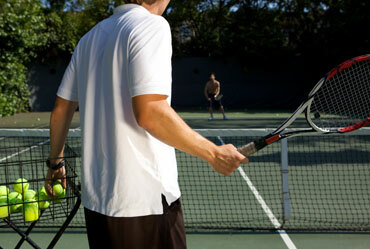 Tennis can be a challenging game to master and group coaching is a great way to get started. 1:1 time with a qualified coach can help you improve your game over a period of time. Many players like to supplement their group learning sessions with individuals to get the best of both worlds. Individual coaching with our coaches will accelerate learning, improve confidence, help master technique, offer opportunity to give your practice or group sessions a focus, and it’s a great workout. We also use state of the art ‘coaches eye’ technology to allow us to capture your game on video and play back to you in slow motion. If you would like to take advantage of this please just let us know. If you would like to know more about coaching, please contact the Head Coach, Bianca Pallatt on 07938145736 or biancapallatt@hotmail.com. Bianca Pallet is fully qualified and accredited with the Lawn Tennis Association. This provides evidence they are safe to practice as well as competent. Accreditation means having an appropriate qualification, DBS and first aid certificates and references.